The ceremony saw the Mayoress of Dudley - Councillor Margaret Aston - reveal the Blue Plaque, with members of the Groucutt family, friends and supporters looking on at 39a Gough Road, the former abode of a certain Mick 'Kelly' Groucutt. 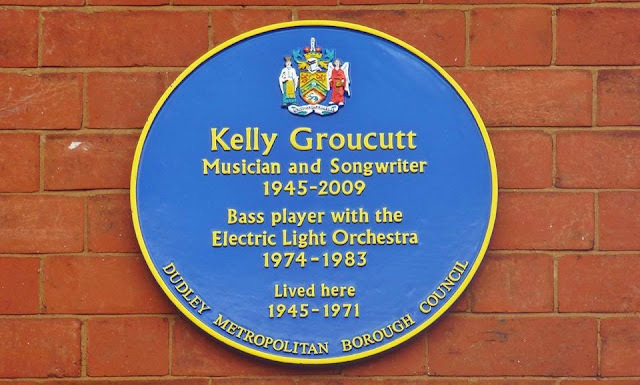 The rather attractive plaque celebrates the life of Kelly G and declares to all his immense decade long contribution to the Electric Light Orchestra [ELO] whilst being certain to be a big part of the Dudley [and Black Country] tourist trail from now on - especially for ELO fans of course! Phil Bates was on hand later to join Rob, Chris, Jenny, Steve and Gary Groucutt on stage [with a little help from some friends and a somewhat emotional 'appearance' by a very special 'guest'] for the evening celebration concert in Wolverhampton, capping a memorable day for all those involved and those fellow backers who could not be there in person on the day. 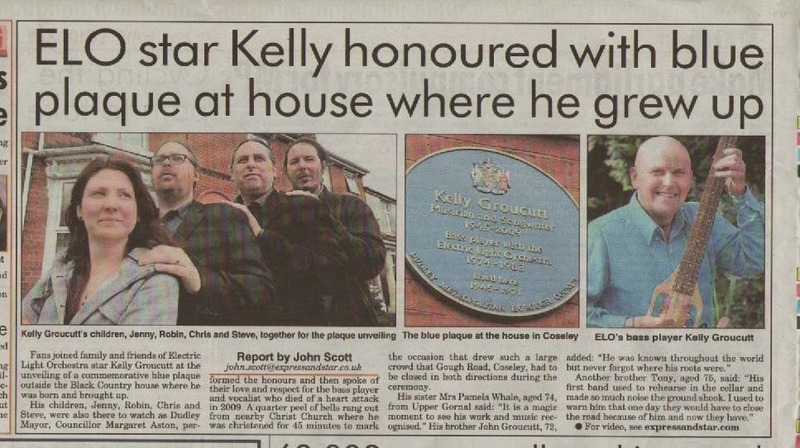 Very proud moment for Kelly and the Groucutt family. Glad to see that this has been marked forever with this wonderful plaque. 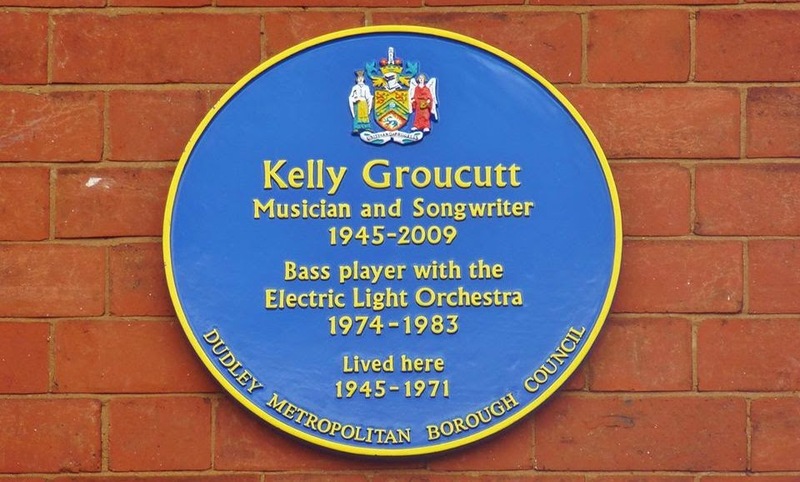 Kelly spent a considerable part of his life with ELO and playing the music of ELO, and contributed to help making the band the success it was. I can't imagine hearing many of those great songs without Kelly. Unlike many of you, I only met him twice, but even from those short chats I knew he was a really nice down to earth guy. Thanks to "kickstarter" which is a great idea giving ordinary fans like us a chance to contribute something back to our idols. Well done Kelly, you will always be a legend in my eyes. I actually met Kelly in the early 80's. His mother went to the same church as my grandmother (All Saints in Sedgley). Kelly opened the Christmas fair. He signed my copy of Discovery and from what I remember seemed a lovely bloke. I was in my early teens. Your readers may enjoy my blog. I've just written about the Beatles. I wish I could have been there. His bass guitar and vocals were integral to the classic ELO sound. When the Rock World finally wakes up and votes ELO into the R&R HOF, I know Kelly will be there in spirit.